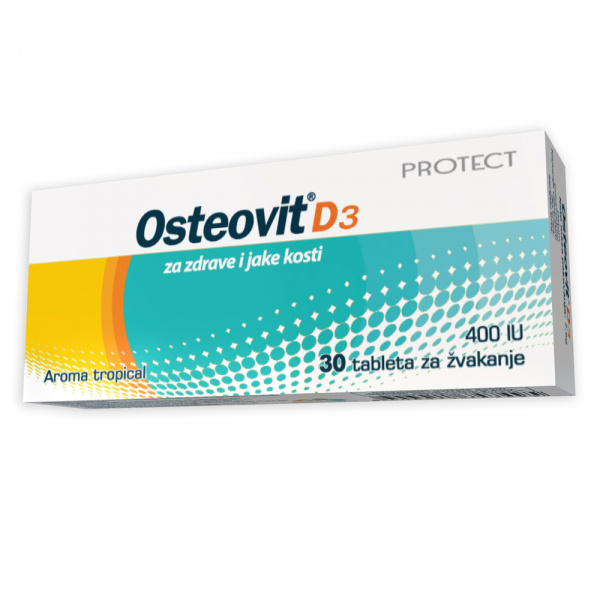 One tablet of Osteovit D3 contains 400 IU, i.e. 10 ug of vitamin D3. 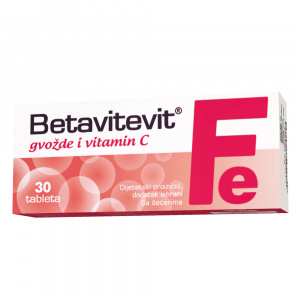 It is developed in the form of chewable tablets, has a pleasant taste, it is easy to use, even for people who have trouble with swallowing tablets or capsules. Vitamin D3 plays a significant role in maintaining calcium level in the body and is particularly important in skeletal development and mineralization of bones and teeth. Adequate intake of vitamin D3 and calcium during childhood and adolescence, as well as a moderate level of physical activity enable building of strong bones. Vitamin D3 along with calcium can also reduce the risk of osteoporosis. This fat-soluble vitamin also contributes to maintenance of normal muscle function, increase of muscle strength and proper function of the immune system and it has influence on the mood enhancement (in case of seasonal depressions that are a consequence of the lack of sunlight). Vitamin D3 is synthesized in the skin from 7-dehydrocholesterol, through photochemical reaction with UV-B radiation from sunlight. It plays an important role in maintenance of calcium level in the body and is especially important in skeletal development and mineralization of bones and teeth during childhood and adolescence. Vitamin D3, along with calcium, helps with osteoporosis that occurs in women in menopause and osteoporosis caused by long-term use of corticosteroids. 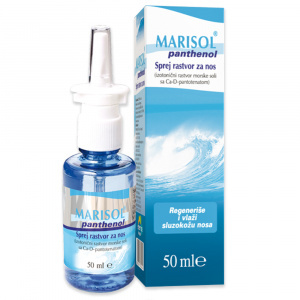 It can have antiosteoporotic, antituberculous, anti-inflammatory, anti-cancer, anti psoriatic, antioxidant effect, as well have influence on the mood enhancement (in case of seasonal depressions that are a consequence of the lack of sunlight). 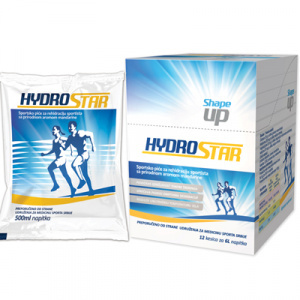 This lipo-soluble vitamin contributes to maintenance of normal muscle function, increase of muscle strength and proper function of the immune system. There are studies indicating the positive role of vitamin D3 in the treatment of diseases, such as multiple sclerosis, heart diseases and Alzheimer’s disease.